Home › Latest News › Volunteers Needed! 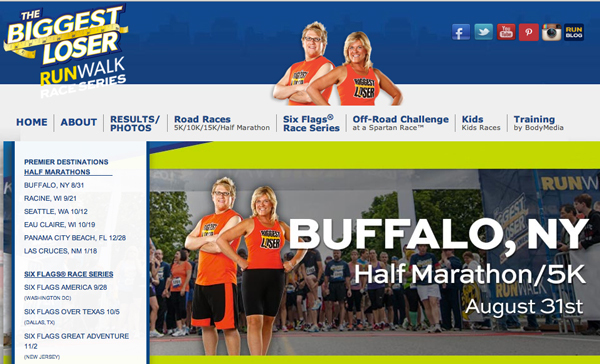 The Biggest Loser Half Marathon/5K Run/Walk is replacing the Fleet Feet 15K in 2014. The 2 races are set for this Sunday 8/31 at 8am (1/2) and 8:30am (5K). We are looking for assistance with traffic for the races and we are hoping that you will help out with the event this weekend. The race will begin and end at Canalside. The course is the 15K route adding the Delaware S curves and a lap of the park to make it a half marathon. We have great support this year from the UB the athletic teams but we still about 30-40 additional volunteers for traffic on the course. We also need volunteers for packet pickup and registration on Sat 8/30 from 11am-4pm as well as day of race volunteers for packet pickup, finish lie food and medal distribution. All race volunteers will receive a BLRW shirt. Please let me know if you would like to assist at our event. Proceeds from the Biggest Loser Run Walk will benefit SOS (Shoes on Students), Fleet Feet Sports not for profit putting training shoes on high school runners of need. To volunteer please email Alice at this LINK.